Data security is a major concern for travelers today, and with Russia hosting the World Cup this year, articles and stories about data security have been even more frequent in the media from Conde Nast Traveler to The Harvard Business Review. Funny, but not funny! 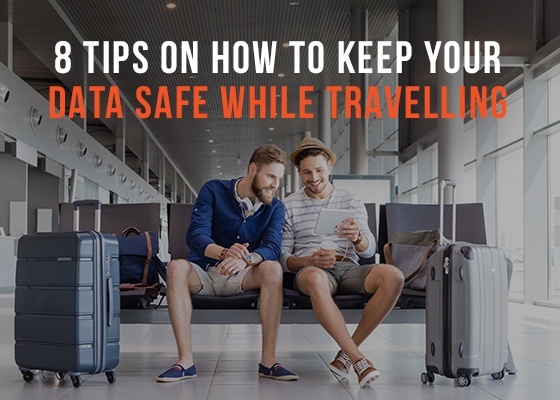 We may listen to the warnings about data security breaches during this major event, but on a regular basis when we travel, most of us underestimate the risk to our personal data that comes with connecting to public, shared, or unsecure WiFi. Few people are suspicious of a luxury hotel’s lobby WiFi or would hesitate to send work emails from the public airport network, or at business conference event. But you can outsmart potential hackers! If you are traveling abroad anywhere this summer, read this: Our 8 Simple Tips That Can Help Save Your Data.